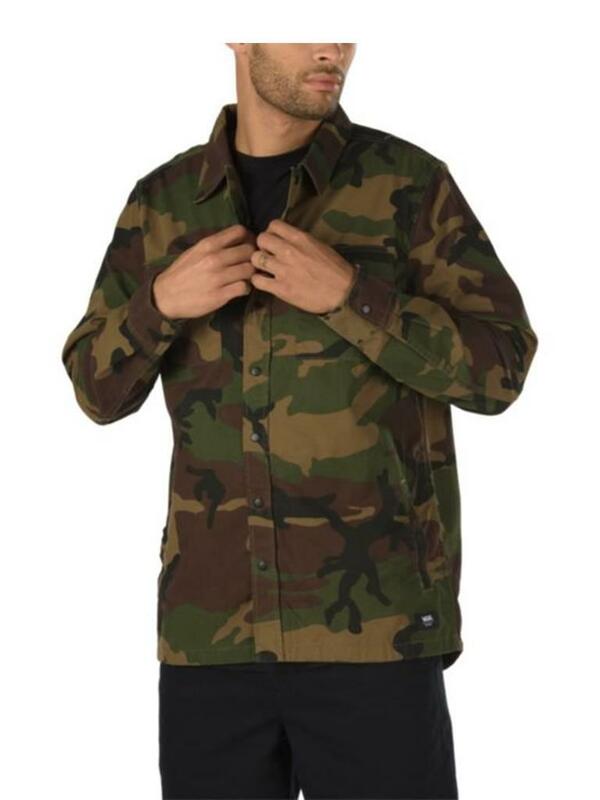 Vans The Cutler is a heavier weight 100% BCI Cotton peached twill shirt jacket with a snap front placket, a dropped tail hem, an allover camo print, and a woven label at the lower body. Fit type: classic. Vans The expertly designed mock neck Versa Quarter Zip is made to perform without sacrificing style.